What are the main benefits of attending Security Leadership Exchange? Time well Spent: Earn 6 CPE Credits and conduct face-to-face meetings with solution providers and industry experts of your choosing in just 2.5 days through our online self-scheduling system where you can customize your own 1:1 schedule to maximize your time. 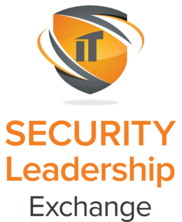 What makes Security Leadership Exchange different from other events? Security Leadership Exchange will assemble all key players, including end user organizations, solution providers and industry analysts so that attendees may formalize relationships across all elements of the supply chain in new and exciting ways to further advance information security in critical market segments. Rather than just another trade show or exhibition, we are focused on building lasting relationships so all members in these complex ecosystems can better understand and advance their needs. Our agenda is more business-intensive than any other event focusing on the information security landscape. Every day is packed with private and group meetings, presentations, content sessions and networking. There is no wasted time and attendees walk away with solutions and strategies they can act on immediately. This high-end program builds in scheduled 1:1 time for face-to-face interaction between attending executives, supplier representatives and industry experts. No other event delivers this level of quality meeting time among current and future business partners, while also providing the highest level of educational sessions and access to a variety of onsite resources. Click below to inquire about attending!